Meeting up with friends that I don't see that often. Last week my friend Joe and I celebrated our friend Becky's birthday with her! :) It was great to see both of them! We usually keep up with each other via Facebook. We promised to get together again soon. Late birthday lunches. My team took me out last week for a very late birthday lunch (better late than never). :) As you can tell, I was a little piggy. I have no regrets, it was all amazing. Yes, three pickles. I love pickles. And yes, I did get Jell-O too. Lol. Going to the movies by myself. I used to think it was crazy to go to the movies alone, but lately, I kind of enjoy it. I usually have Friday afternoons off work, so I can catch an early afternoon show. Last week I saw Love and Mercy (the film about Brian Wilson of the Beach Boys). It was a great movie. John Cusack did an amazing job. As did Paul Dano (the guy who played the younger Brian Wilson). 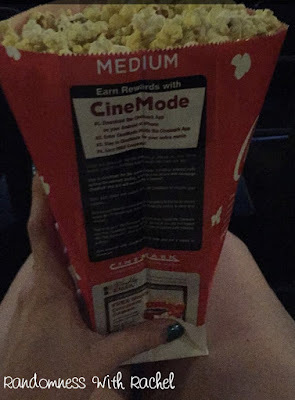 I didn't have time to eat lunch before going to the movies, so I was forced to get popcorn so I didn't starve. Remind me never to do that again. It cost $6.50 for this bag. That's ridiculous. Next time I'll be sure to leave enough time to get food beforehand. The top left book is a Russian play that was recently translated into English. I've started it, it's...interesting. Also, I'm not a Jane Austen fan, so I thought if I read about zombies in Pride and Prejudice, I could actually finish it. Lol. And yes, I bought my first graphic novel. It was based on The Babysitters Club (my favorite childhood series- I had to get it). And the other one was only $1 and a mystery novel, so of course I had to pick it up. Road trips. I am taking one soon. I can't wait! Your friend's son in ADORABLE in his little uniform! Yay for new books! I love the cover for The Tragedy of Mister Morn. I love going to the movies (during the day) alone!!!!! Movies, books, t-ball and dinner. PERFECT!!!!! I hope you have a super week this week too. I love half-price books and those are some good ones! I love this, Rachel, and your sweet ball player. 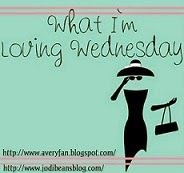 I would join in k if I weren't already doing Hodgepodge Wednesdays. Love the button!